Huddersfield will be looking to reignite their promotion challenge on Saturday when they travel to Tynedale in National Two North. With this being a reserve weekend across the National Leagues, Field’s game in hand has now become quite crucial if they are to finish in the top two this season. Three straight defeats leaves them 10 points behind second-placed Chester, but Tynedale will provide the Yorkshire club with a stern test having not lost at home since September. The only other match which was scheduled to take place was Stourbridge's visit Wharfedale, but the game has been postponed due to the bad weather. Since their last game in hand, Huddersfield’s progress has been hampered. 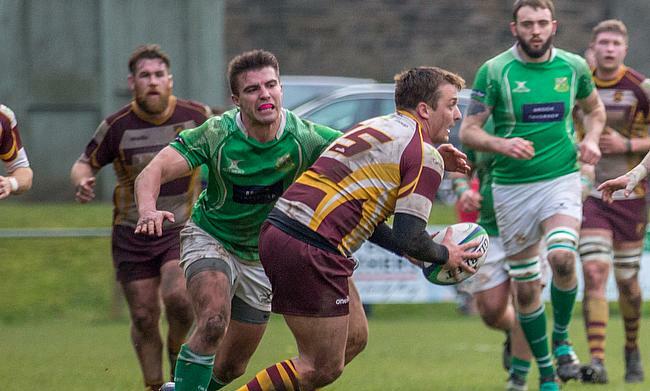 Prior to their fixture with Wharfedale at the conclusion of February, Gareth Lewis’ side were just a single point behind National Two North leaders Hull Ionians following a run of just one defeat from 10 matches. However, Field lost to Wharfedale and they have not been able to bounce back. Recent losses to Hull Ionians and Stourbridge have dented their promotion hopes and now the Yorkshire club sit fifth in the table and 10 points off the top two places. With this in mind, the significance of this fixture with Tynedale cannot be underestimated. A win for Huddersfield would launch them back into the race for promotion, but any other result would leave the men from Lockwood Park with a lot of work to do with a short amount of time left in the season. This weekend’s clash with Tynedale will not be straightforward, either. After four wins in the first half of the campaign, Ben Woods’ side have been rejuvenated since the turn of the year and they have the chance to move into the top six this weekend with a bonus-point victory over Huddersfield. Tyne have won seven of their last nine matches and at Corbridge, they seem to be unstoppable at the moment. The North-East club are currently on 10-match unbeaten run at home, with their last defeat on their own patch coming against Hull Ionians back in September. This should be an excellent contest this weekend, but for Huddersfield, it has now become pivotal to their promotion aspirations.